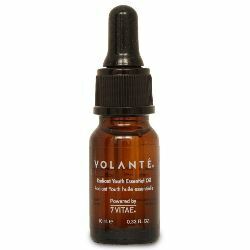 Volante Radiant Youth Oil Review (2018): Is It Really Effective? Volante Radiant Youth Oil Review: Does It Really Work? Volante Radiant Youth Essential Firming Oil, US $85 for 30 ml, is a moisture-restoring oil-based product that re-energizes your skin and rescues it from early signs of skin aging by restoring skin moisture and hydration functions. Volante from Volante Skin Care is a brand dedicated to delivering the youthful beauty of mature and aging skin. All Volante products combine nature-derived ingredients with the latest in skin care science and technology. For the brand, beauty is second to skin health. 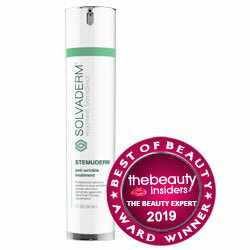 This product works by flooding your skin with moisture and follows through using peptides and matrixyl that both promotes longer-lasting improvements to your skin. Bromelain: A very mild natural exfoliant, derived from fruits, helps remove blockages that compromise your skin health as it deprives it of proper nutrition and ample amounts of oxygen that it requires to power up various cellular level mechanisms. This product does not contain parabens which can lead to irregularities in estrogen levels. The formula is rid of mineral oil, petroleum products, sulfates, synthetic fragrance, and gluten. None of the Volante products are ever tested on animals. This product seems to have a limited distribution network, judging by its limited exposure online and the limited number of mentions it has on reseller websites. Volante Radiant Youth Essential Firming Oil reviews are severely limited that these aren’t going to be useful when you are making a purchase decision about this product. Volante Radiant Youth Essential Firming Oil must be applied on freshly cleansed and toned skin. Take 1-2 drops. Dot around your face, neck and chest then spread evenly until all of the surface is covered. Massage and tap to blend in well and faster deep into your skin. Volante Radiant Youth Essential Firming Oil is a relatively “clean” product which contains a handful of remarkable ingredients but which comes at a steep price given the tiny packaging.